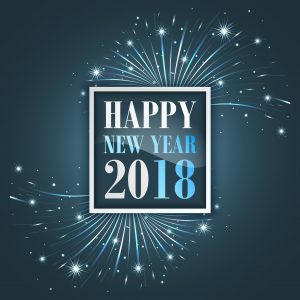 Happy almost New Year from all of us at H2 Environmental Consulting Services! Many of us like to welcome the new year with a glass of champagne or sparkling cider and a kiss. It’s also a great idea to get a totally fresh start at the turn of a new year. Throw out that dirty sponge and replace it with a clean one, invest in some lovely new sheets for your bed, and make sure you update that shower curtain to enhance that newness feeling the start of 2018 brings. At the start of the new year, plenty of us turn our minds to resolutions. Plenty of us would like to have a healthier 2018, so we set resolutions for steps goals, eating healthier, and losing weight. But one important aspect of making sure you have a healthier 2018 is making sure your surroundings are totally safe and contaminant-free. Schedule an environmental evaluation with H2 Environmental Consulting Services to have every molecule of your home analyzed for contamination and if needed, remove all contamination for your surroundings. It’s the perfect way to start 2018 in a pure, clean home! We also check Indoor Air Quality to determine its purity and if problems are detected, thoroughly remediate them so you can breathe in and out with confidence every day. Planning a renovation in your home? Then you must have it checked for asbestos first. Asbestos fibers, if inhaled, can make their way into your lungs. Asbestos has been found to be a contributing factor for various diseases like asbestosis and lung cancer. Protect your family and yourself in 2018 by scheduling a full environmental evaluation of your home, just in time to welcome the new year in a clean, pure, contaminant-free home. We’re here for all your environmental testing and remediation needs. Lead poisoning is the most widespread preventable disease in the US today. Many homes and businesses contain lead-based paint and other lead-contaminated items. Over time, lead paint chips and dust comes off, falling to the ground, where kids play and get it on their hands. Children naturally put their hands in their mouths, so the lead is ingested and begins to accumulate. But that doesn’t have to happen to the special little ones in your life. Prevent lead poisoning from affecting the kids in your life with lead testing and remediation services from H2 Environmental Consulting Services. Certain types of mold and fungus can affect your and your loved ones’ health if not detected and removed properly by a licensed company like H2 Environmental Consulting Services. Many people suffer from mold allergies or are otherwise immunocompromised, so it’s essential that you have your home tested for mold and fungus to keep your family safe and healthy. Call H2 Environmental Consulting Services at (800) 524-3578 to schedule an environmental evaluation of your home. Start 2018 off on the right note with an environmental evaluation of your home by H2 Environmental Consulting Services. Happy New Year!